Today’s Generals pregame show interview is catcher John Hicks. He has a 6-game hitting streak and has upped his average to .278 on the young season. The Generals scored 4 runs in the 1st inning, ending a 5-game losing streak, as Jackson defeated Pensacola on Sunday. Starter Brett Shankin (6.0,6,3,3,5,4,HR) recorded his first AA win, allowing 3 runs on 6 hits in 6.0 innings. RH Stephen Kohlscheen (3.0,0,0,0,0,4) struck out 4 batters in 3.0 hitless innings to earn his first save of the season. 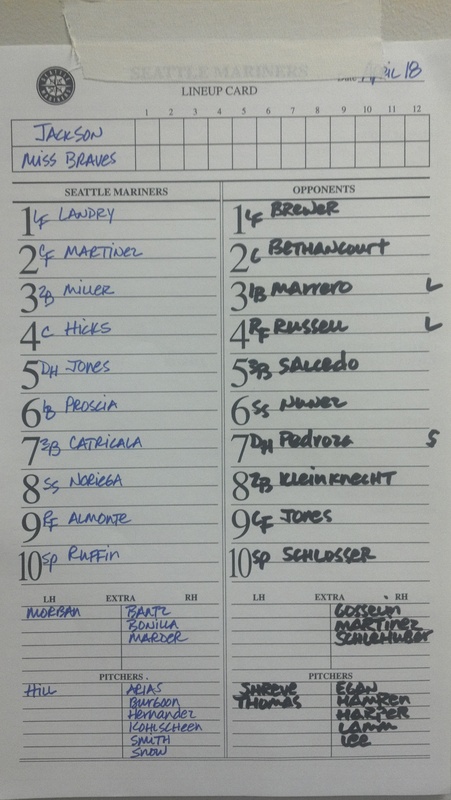 SS Brad Miller (3×4, R, 2 RBI), and CF Francisco Martinez (2×4, 2 R, 2B, RBI) recorded Jackson’s only other multi-hit game. RH Abraham Almonte (1×3, R, HR, 2 RBI) hit his 2nd home run of the season, a 2-run 2-out blast in the 4th inning. TODAY’S GAME: The Generals (6-9) open a five-game series tonight against the Pensacola Blue Wahoos (CIN) (6-8) at The Ballpark in Jackson. This will be the first of 10 meetings between the clubs in 2013. Jackson is currently T-3rd in the SL North, 3.0 back of first place Birmingham. 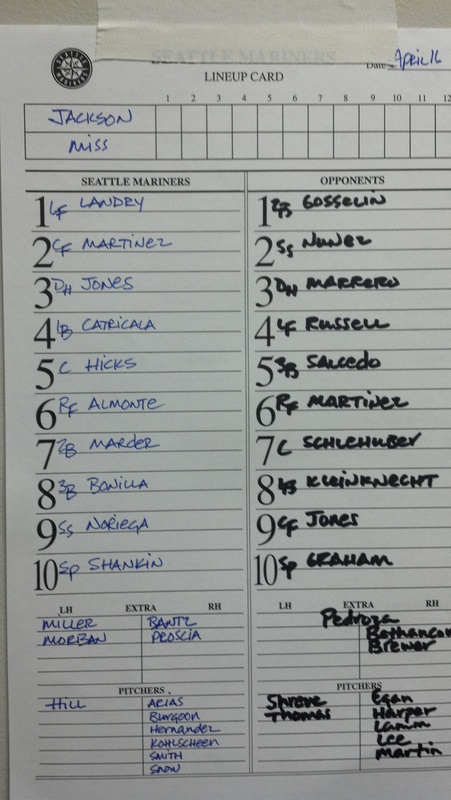 20-year-old righty Taijuan Walker makes his fourth start of the season. Walker is making his 47th career start and 29th for Jackson. Walker was 0-2, with a 2.53 ERA against the Wahoos last season in 2 starts. YOU ALREADY KNOW…that the Generals dropped the final four games of the series in Mississippi. But, DID YOU KNOW?…that Jackson out-hit the M-Braves in each of those games. The only excpeption was game five of the series on Friday night. GENERALS RECAP: Jackson allowed a walkoff home run to lead off the bottom of the 11th inning ans Mssissippi defeated the Generals 8-7 on Friday night. The game started on Thursday night, but was suspended due to rain in the 6th inning. Starter Chance Ruffin (5.0,6,4,0,1,1) allowed 4 runs (0ER) on 5 hits in 5.0 innings, but did not figure into the decision. LH Nick Hill (1.2,0,0,0,0,2) struck out 2 batters in 1.2 scoreless innings, while Moises Hernandez (1.1,2,2,2,0,0), Tyler Burgoon (2.0,2,1,1,3,4) and Stephen Kohlscheen (0.0,1,1,1,0,0,HR) each were charged with a run in relief. LF Leon Landry (3×6, R, RBI) led the team with 3 hits, while C John Hicks (2×5, R) recorded Jackson’s only other multi-hit contest. 2B Brad Miller (1×4, R, HR, 3 RBI, BB) hit his 3rd home run of the season with a 2-run blast in the 1st inning. The Generals dropped the 2nd game with a walkoff in the 9th to lose 3-4 to Mississippi. It was their 4th straight. Starter James Gillheeney (5.1,8,2,2,1,2) allowed 2 runs on 8 hits in 5.1 innings, but didn’t figure into the decision. RH Jonathan Arias (2.2,0,0,0,1,5) struck out 5 batters in 2.2 innings, before RH Carson Smith (0.2,4,2,2,1,2) allowed 2 runs in the 9th inning to record his 2nd loss. RH Forrest Snow was ejected before even throwing a pitch after not being on the official lineup card. 1B Steven Proscia (2×4, 2 R, 2B) was the only Jackson player with 2 hits in the game. WHO’S HOT: INF Gabriel Noriega has hit safely each of the last 5 games he has appeared, batting .4368 (7×19) with 2 runs scored, 1 triple and 3 RBI. C John Hicks has recorded 2 hit in 5 of the last 6 games he has appeared, batting .400 (10×25) with 3 runs scored, 1 double and 2 RBI. After going 0x7 in his first 2 games, OF James Jones has hit safely in 10 of his last 11 games, batting .343 (12×35) with 7 runs scored, 3 doubles, 2 triples, 1 home run and 7 RBI. CLOSE CALLS: So far this season, 10 of the Generals first 15 games have been decided by 1 run. Jackson is 3-7 in those games. HOME SWEET HOME FOR MILLER: INF Brad Miller has 10-game hitting streak at home that dates back to August 14 of last season. During the streak Miller is batting .465 (20×43) at The Ballpark in Jackson with 3 doubles, 2 triples, 2 home runs, 3 RBI and 3 walks. Last night’s game was suspended in the top of the 6th inning when a long line of thunderstorms blasted the Jackson, Miss. area. Jackson has runners on first and third when play resumes and Steven Proscia at the dish with no outs. The Generals and Mississippi Braves are tied at 4-4. The two teams will play a nine inning game after the suspended game is completed. I talked to Proscia and asked him if he had ever been put in a situation of having to wait almost 24 hours for an at-bat, much less an RBI situation in a tie game and he said no. A suspended game is not a rarity, but for the Jackson franchise it has been. The last suspended game I could remember was the second game of the season in 2009. I remember it well because it was the game in which Carlos Triunfel broke his leg sliding into second base. West Tenn won the game at Montgomery that was finished the next day and actually Doug Fister pitched in relief and got the win. Generals’ OF Julio Morban took a more active role in batting practice today and simulated two doubles and two singles. He is recovering from a groin strain suffered in the final game of our opening series in Jacksonville. He was off to a great start going 9×16 with a homer and three RBI in that series. Look for Morban to see some action this weekend as we get back to Jackson. The temps are going to be very cool, so that could factor in as well. Last night during Tacoma’s extra inning loss to Fresno, former General Joe Dunigan had squared around to bunt and was hit in the jaw with a pitch. According to Tacoma broadcaster Mike Curto Dunigan he immediately left the game. Today, their manager Darren Brown said that Dunigan is in the hospital with a broken mandible. Brown visited him in the hospital and he reported that Joe was in good spirits, is supposed to have surgery today, and should be discharged tonight. That according to Curto. 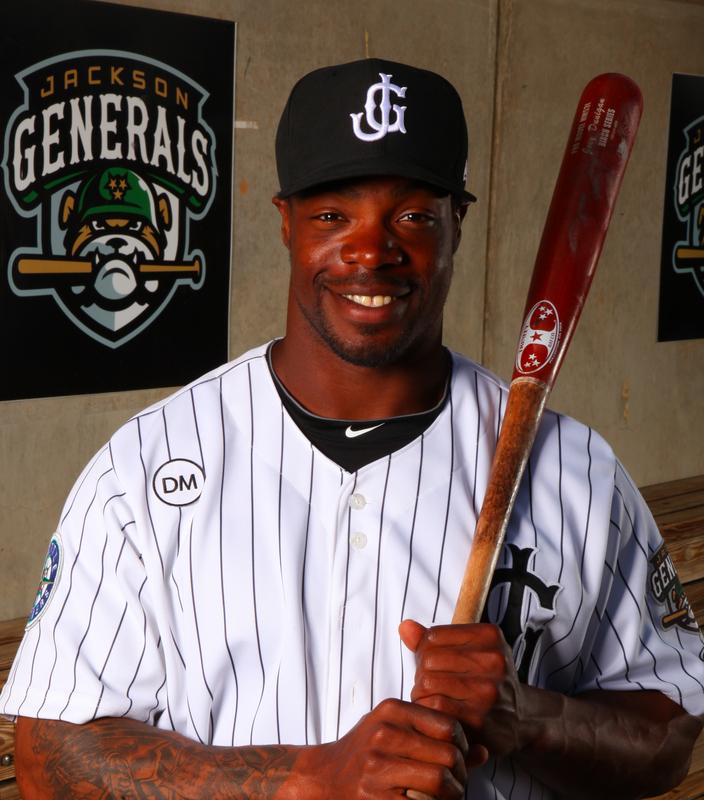 While no official move has been made yet, Leury Bonilla left the Generals today and will take Dunigan’s spot in Tacoma. 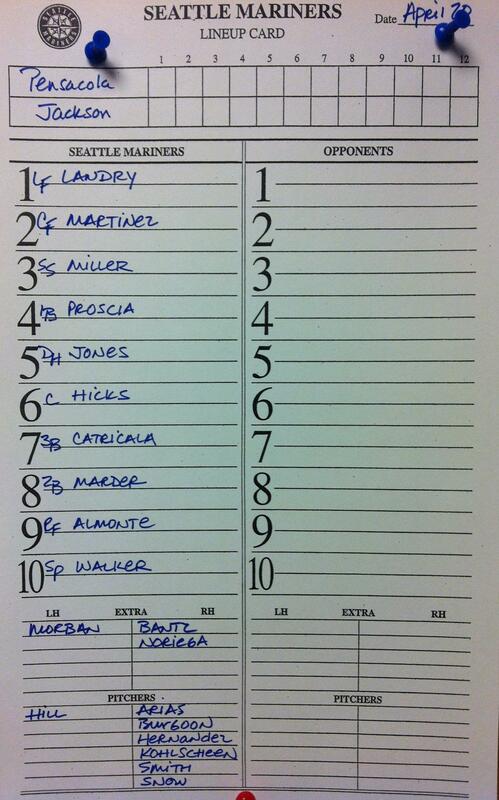 As of now, no replacement for Bonilla will be made on the Generals roster. Jackson was carrying 13 position players anyway, so it’s not a big need for now. Site: Trustmark Park – Pearl, Miss. Radio: 96.5 ESPN Radio (pregame 6:45) / GAMEDAY AUDIO and TuneIn Radio App. TODAY’S GAME: The Generals (6-7) take on the Mississippi Braves (5-8) tonight in game four (1-2) of the five-game series at Trustmark Park. Jackson is currently T-3rd in the SL North, 2.0 back of first place Birmingham. 24-year-old Chance Ruffin makes his third career start and third of the season tonight. Ruffin made 3 spring training appearances and allowed three earned runs in 3.0 innings pitched. Ruffin was 0-5, with a 5.99 ERA for Tacoma last season in 50 games. YOU ALREADY KNOW…that the C John Hicks and INF Gabriel Noriega recorded 2 hits yesterday. But, DID YOU KNOW?…that Noriega has hit safely each of the last 4 games he has appeared, batting .429 (6×14) with 1 run scored, 1 triple and 3 RBI. C John Hicks has recorded 2 hits in 4 of the last 5 games he has appeared. GENERALS RECAP: Mississippi’s Phil Gosselin lined a base hit to right in the bottom of the 9th that scored Jaime Pedroza, giving the Braves a 3-2 walk-off win over the Generals on Wednesday. The Generals led 2-1 heading into the bottom of the 9th inning as Carson Smith (0.2,2,2,2,2,1) surrendered a leadoff walk to Dan Brewer then after a sacrifice bunt from Luis Nunez got an RBI double from Pedroza tying the game at 2-2. Gosselin’s RBI single made the second time this season Jackson has allowed a walkoff. Starter Roenis Elias (6.2,4,1,1,2,2,HR) allowed only 1 run on 4 hits in 6.2 innings, but didn’t figure into the decision. RH Jonathan Arias struck out 2 in 1.1 innings of work. C John Hicks (2×3 R), RF James Jones (2×3, R) and 2B Gabriel Noriega (2×3, RBI) each recorded 2 hits, while LF Jack Marder (1×4, 2B) recorded the team’s only extra-base hit. WHO’S HOT: Generals Pitching leads the SL with a 2.89 ERA this season. The staff also leads the league in opponents batting average at .203 and ranks second with 100 strikeouts. OF James Jones has reached base safely in his last 9 games (.469 OBP), batting .370 (10×27) with 3 doubles, 2 triples, a home run and 7 RBI. Jones has also walked 5 times. LH James Gillheeney is 2-0 with a 0.00 ERA (0 ER, 11.0) IP in his first 2 starts this season. He has limited opponents to a .158 (6×38), while walking 4 and striking out 3 in 11.0 innings. Radio: 96.5 ESPN Radio (pregame 10:45) / GAMEDAY AUDIO and TuneIn Radio App. TODAY’S GAME: The Generals (6-6) and T-2nd place in the SL North take on the Mississippi Braves (4-8) this morning at Trustmark in game three (1-1) of the five-game series. Jackson is 2-1 in day games this season and all-time is 81-79 against the Braves. 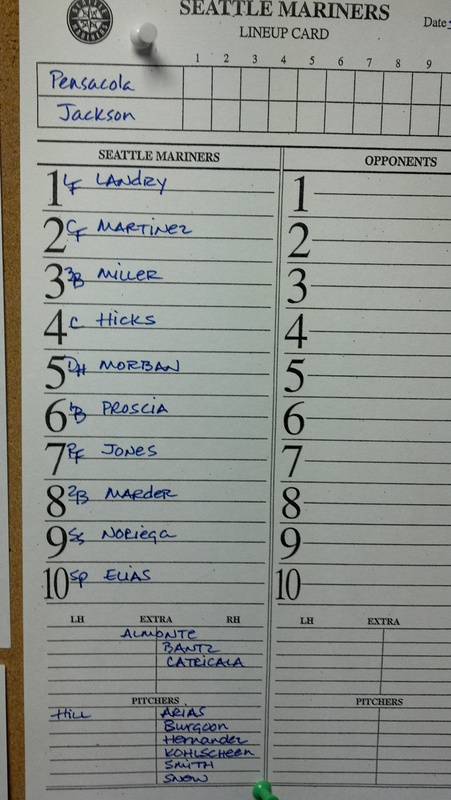 24-year-old Roenis Elias makes his third start for the Generals. This is his first career start against the Braves and 37th overall start in his pro career. The lefty who was born in Cuba is 16-9 in his career, with a 3.90 career ERA. YOU ALREADY KNOW…that the Generals have faced Jacksonville, Montgomery and Mississippi so far this season. But, DID YOU KNOW?…that the Generals will not play a team from their own North Division until April 20 at Chattanooga. Jackson’s first 20 games are against South Division opponents. GENERALS RECAP: The M-Braves evened the series on Tuesday morning with a 2-1 victory over the Generals (6-6) at Trustmark Park. Pitching once again dominated as Jackson fell despite out-hitting Mississippi 6-5, The General’s loss snapped a Braves six-game losing streak and ended Jackson’s four-game winning streak. WHO’S HOT: Generals Pitching leads the SL with a 2.66 ERA this season. The staff also leads the league in opponents batting average at .202 and ranks second with 95 strikeouts. OF James Jones has reached base safely in his last 8 games (.448 OBP), batting .333 (8×24) with 3 doubles, 2 triples, a home run and 7 RBI. Jones has also walked 5 times. LH James Gillheeney is 2-0 with a 0.00 ERA (0 ER, 11.0) IP in his first 2 starts this season. He has limited opponents to a .158 (6×38), while walking 4 and striking out 3 in 11.0 innings. CLOSE CALLS: So far this season, 7 of the Generals first 12 games have been decided by 1 run. Jackson is 3-4 in those games. TODAY’S GAME: The Generals (6-5), riding a four-game win streak play game two of the five-game series this morning against the Mississippi Braves, at Trustmark Park. The Genrals all-time are 81-78 against the Atlanta Braves Double-A affiliate. Jackson is 2-0 this season in day games. 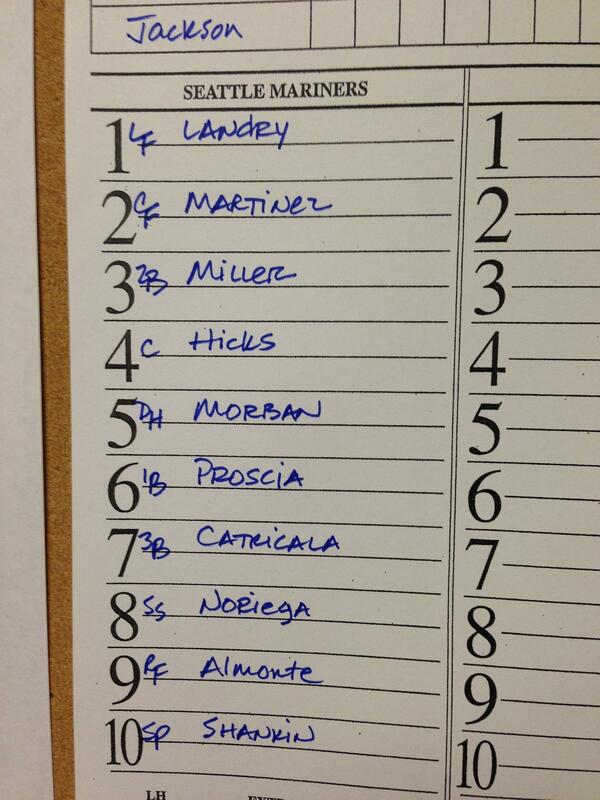 23-year-old RHP Brett Shankin makes his Double-A debut this morning. Shankin will be making his 27th career start as he is 9-10, with a 5.40 ERA over his first 2+ pro seasons. Shankin was 1-1, with a 2.61 ERA for A+ High Desert this season. YOU ALREADY KNOW…that the Generals pitching staff has posted three shutouts this season. But, DID YOU KNOW?…that the Generals pitching staff ranks 2nd in the SL with 90 strikeouts and 3rd in the SL with a 2.69 ERA. The Generals starting pitchers ERA is 2.07. GENERALS RECAP: The Generals (6-5) won their fourth in a row on Monday night at Trustmark Park over the Mississippi Braves (3-8), 1-0. Jackson was held to a season-low two hits on Friday, but Taijuan Walker, Stephen Kohlscheen and Tyler Burgoon tossed the shutout. CF Abraham Almonte (1×3) provided the only Jackson hit that left the infield Monday, and it was a solo homer to lead off the top of the sixth. It was Almonte’s first round tripper of the season. The loss for Mississippi was their sixth in a row, RHP Taijuan Walker (W, 1-2 – 6.0,3,0,0,4,6) was magnificent on the mound Monday, earning his first victory of the season. Walker worked out of jams in the third and sixth innings and threw 91 pitches in his third start. Walker is now 3-0 all-time against the Braves and has allowed no earned runs in each of his last two starts. RHP Stephen Kohlscheen (2.0,2,0,0,1,2) pitched out of a jam in the seventh and eighth earning his first hold. RHP Tyler Burgoon (S, 1 – 1.0,1,0,0,0,0) locked down his first Double-A save with a scoreless ninth frame. WHO’S HOT: OF James Jones had a 6-game hitting streak come to an end Monday. It was the T-3rd longest streak in the SL. During the streak, Jones batted .368, with 3 doubles, a triple, home run and 7 RBI. LH James Gillheeney is 2-0 with a 0.00 ERA (0 ER, 11.0) IP in his first 2 starts this season. He has limited opponents to a .158 (6×38), while walking 4 ans striking out 3 in 11.0 innigs. THAT’S WHAT HE SAID: “I thought I pitched pretty well,” said Walker, who struck out six batters and issued four walks. “I felt like I had everything working. I had to battle through the bottom of the sixth inning and that was pretty hectic, but I’m glad I got out of it.” – Taijuan Walker on his outing Monday night. GENERALS BLAST FRANCHISE’S 1,500th HOMER: Steven Proscia’s 2-run blast in the third inning Saturday night was not only his second of the season, but 1,500th since the franchise arrived in Jackson in 1998. The current total sits at 1,502. WEEKLY HONORS SWEEP: The Generals swept the first edition of the Southern League Players of the Week Monday as INF Brad Miller was named the SL Hitter of the Week and RHP Hector Noesi was named SL Pitcher of the Week. Noesi was promoted to AAA Tacoma on Monday afternoon. TODAY’S GAME: The Generals (5-5) begin a five-game road trip today against the Mississippi Braves (3-7), at Trustmark Park. The Genrals all-time are 80-78 against the Atlanta Braves Double-A affiliate. 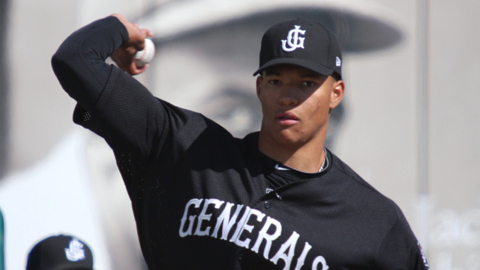 20-year-old righty Taijuan Walker (0-2) makes his third start of the season tonight, in search of his first win. Walker is making his 46th career start and 28th for Jackson. Walker was 2-0, with a 2.37 ERA against the Braves las season, in 3 starts. YOU ALREADY KNOW…that in 10 games Brad Miller ranks T-2nd in the SL, with a .389 batting average. But, DID YOU KNOW?…that Miller leads the SL in slugging (.667), total bases (24) and is tied with Mobile’s Jon Griffin for first with 14 hits. GENERALS RECAP: Starter James Gillheeney held the Biscuits to 1 run (0 ER) over 6.0 innings as Jackson defeated Montgomery 7-1 on Sunday afternoon. Gillheeney (6.0,3,1,0,3,1) allowed and unearned run in the top of the first inning, but shut down Montgomery of the next 6.0 innings to earn his 2nd win of the season. Gillheeney limited the Biscuits to 3 hits while walking 3 and striking out 1. Relievers Nick Hill (1.1,0,0,0,2,2) and Carson Smith (1.2,0,0,0,0,1) combined to hold Biscuits scoreless over the final 3.0 innings to secure the victory. Smith stranded 2 runners on base recording the final out in the 8th and then tossed a scoreless 9th inning to record his 3rd save of the season. CF Francisco Martinez (2×4, 2 R, BB, SB) and C John Hicks (2×4, RBI) each lead the Generals with 2 hits apiece, while RF James Jones (1×2, 2 RBI, 2 BB) recorded the only multi-RBI game for Jackson. WHO’S HOT: OF James Jones is on a 6-game hitting streak which is T-3rd in the SL. During the streak, Jones is batting .368, with 3 doubles, a triple, home run and 7 RBI. INF Brad Miller has hit safely in 6 of the first 10 games this season with 4 mult-hit games, batting .389 (14×36) with 9 runs scored, 2 double, 1 triple, 2 home runs and 4 RBI. He has recorded 3 consecutive multi-run games and currently leads the Generals with 9 runs scored. LH James Gillheeney is 2-0 with a 0.00 ERA (0 ER, 11.0) IP in his first 2 starts this season. He has limited opponents to a .158 (6×38), while walking 4 ans striking out 3 in 11.0 innigs. INF Steven Proscia has hit safely in each of his last 3 games, batting .455 (5×11) with 2 run scored, 1 home run and 2 RBI. WEEKLY HONORS SWEEP: The Generals swept the first edition of the Southern League Players of the Week Monday as INF Brad Miller was named the SL Hitter of the Week and RHP Hector Noesi was named SL Pitcher of the Week. The Jackson Generals duo of INF Brad Miller and RHP Hector Noesi have swept the first Southern League weekly awards of the season. 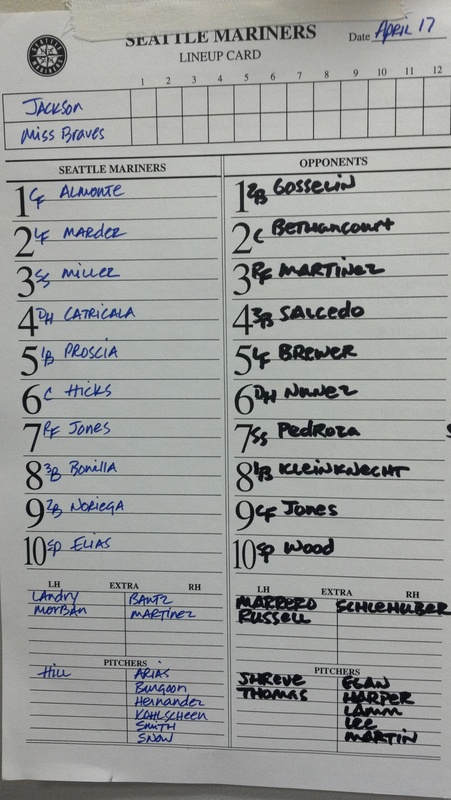 Miller was named the Southern League Hitter of the Week and Noesi the Southern League Pitcher of the Week. Miller, 23, has hit safely in six of the first ten games this season with four multi-hit games, batting .389 (14×36) with nine runs scored, two doubles, one triple, two home runs and four RBI. He has recorded three consecutive multi-run games and currently leads the Generals with 9 runs scored. Miller ranks tied for second in the league with a .389 average and leads the league in slugging percentage (.667), total bases (24) and is tied for first with 14 hits. Miller, from Windermere, FL was drafted by the Mariners in the second round of the 2011 draft out of Clemson. Noesi, 26, made two starts for the Generals and has a 1-0 record, with a 0.00 ERA, not allowing a run on five hits, in 11.0 innings pitched. Noesi ranks second on the team with 12 strikeouts. He earned his first win of the season during the Generals 4-2 win in game two of the doubleheader against Montgomery. The righty Esperanza, Dominican Republic has pitched in 52 Major League games for the Mariners and Yankees. On January 23, 2012 he was traded by the New York Yankees with Jesus Montero to the Seattle Mariners for Jose Campos and Michael Pineda.